One of the most difficult decisions you will need to make when choosing an Apple Watch is which case size to go for. 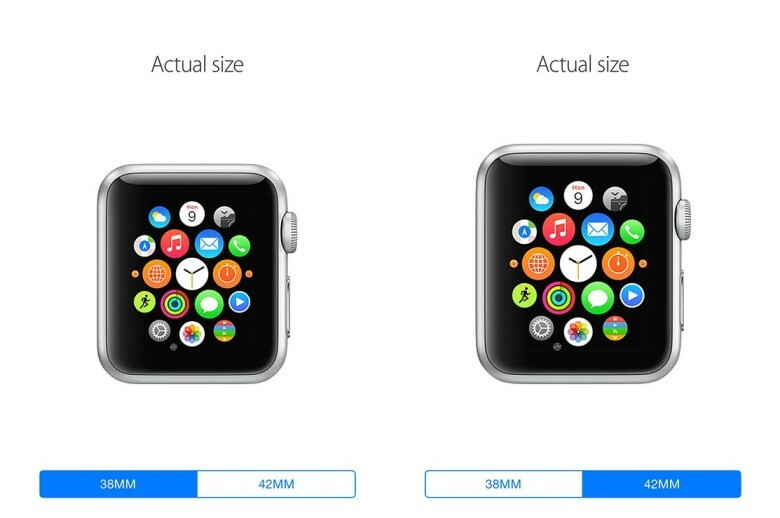 But the Apple Store app for iPhone hopes to make the process easier by displaying both the 38mm and 42mm Watch cases at their actual size. While it may be easy to decide which Watch variant and strap you want simply by checking out the pictures online, picking a case size isn’t quite as simple, because you need to decide which fits better on your wrist. But if you open up the Apple Store app on your iPhone, you can view both Watch cases at their actual size. It’s nothing like trying on the real thing, of course, but you can at least hold the image against your wrist to see which one looks a better fit. If you want to get your Watch pre-order in early before Apple’s initial stock is all snapped up, you’re going to need to decide which model you want before April 10. You’ll be able to go into an Apple Store and try Watches on from that date, but by the time you get home and place your order, shipping times will likely have already slipped to several weeks. If you’ve already decided which Apple Watch configuration you want, you can save it to your account on the Apple Online Store to make pre-ordering as quick and as easy as possible when the time comes.